Good quality ash step cane. When opened up the cane is used to determine the amount of steps are to be used within a parade march. 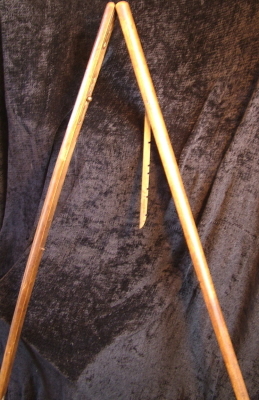 The cane step adjusted with the brass strap that links the two cane lengths. A brass button and slide latch opens up the cane and keeps the cane firm when closed. The cane is finished with the original trumpet shaped Victorian ferrule. The cane is in lovely original condition free from breaks or cracks. A superb age patina on the outer brass fittings.